The Twain Shall Meet: ON THE EVE of CONTEMPT ~ please tell your Mother! For me personally, these last five years have been very difficult ones. And although I have always had grave doubts about the intent of the Right side of Canadian politics and been warry of Stephen harper, I was a long time waking to the fact that Stephen Harper has in many ways been an assault on Canada. the 24th of March, 2011 is the Eve of that Wakeup Call! Something very Unusual is about to Happen tomorrow, unless the PM runs away for the third time to see the (representitive of) the Queen. At around 1:30 pm EDT, the Government will face an Historic vote in the House that will, barring an act of God, result in a formal charge of Contempt being levelled by the parliament of Canada, against the Government of Canada, but more specifically at an entire Canadian Political Party. This Motion will pass if presented for a vote. The difficult part is that it will still take a while for this to sink in. It should help a bit that it will be of interest all over the world and will not go unnoticed in the International press. That, of course was just a Definition. How has History Viewed Contempt? In a perfect world, we would all be wide awake and looking closely and happily as the Harper Government finally goes down in flames. In a perfect world, we would all know the real story. In a perfect world, this Governement would ^NOT have spent the last five years treating Canadians with such open and yet somehow deep-seated Contempt! We really do need to have a closer look at the man at the helm. But it may take a long time to get Canadians, even those who already know that Harper as a petulant problem-child, to realise the real and much darker truth. For any of you less familiar, but still reading this, I would encourage that you get involved, or at least get yourself involved. He is being held in contempt for real, relevent and to those of us who know his record, quite obvious reasons. Look closely and you will come to see that: He is a secretive and vindictive man. He is feared by even his supporters. He is not a man of any real substance. He sees no reason to tell us the truth. He sees no reason to encourage us to do research into his tenure. He is not a man who comfortably walks among other people like a more normal and friendly Canadian. Even as I watched John Baird during Question period this afternoon, I was again reminded that he is a most disrespectful, ill-mannered, and smug man who is almost giddy to be charged with being both the First and the Last line of defence to this, in many ways, very Odd and innapropriate Harper Government. At the end of Question Period today, Liberal MP, David Mcginty stood and said a few words, and asked the Government if they would not consider voting YES on the Motion of Contempt, tomorrow. To which the House leader John baird responded with a very glib, Accusation of smuggness on the face of Mcginty. Having John Baird call you smug is an insult somewhat akin to having Vic Toews calling you senile. If you do ^NOT get the reference, you need to catch up and soon! Our ability to Wake on time and to Wake other Canadians on time to this unDemocratic Oddness and Surreality over the next 6 weeks is imperitive. So, I think you should arrange a wake up call. My clock has been set. Like this nice Clock, I'll be there with bells on. Other than the accusations, what actual proof do you have? Who else would you choose? How involved do most people get....? It is easy to complain, but what are the answers? As releuctant as I am to respond to Anonymous questions, I will respond to that. The proof of Conservative Contempt is everywhere. It is in this Blog at other locations. It is on Facebook at CRUSH and other locations. 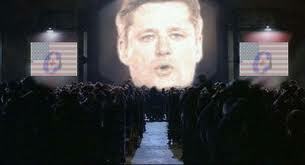 It is in the Words of John Baird, Pierre Poilievre, Stephen Harper and other places. I have been providing proof for Three years on a daily basis that the Government is treating Canadians, Parliament and Democracy in Abject Contempt. I have provided Proof that they lie, cheat and steal on a daily basis. Click on the CRUSH link above, or the one above that. Or read any of the other posts on this Blog. You are correct. There is no proof whatsoever on this one post. I get really tired of stating that truth on a daily basis to people who are too lazy or stupid to look elsewhere for it. I will be glad to direct you to those truths at the locations above. I am not hard to find, and I am ^NOT anonymous. @ Kim and Anonymous. The Proof is indeed everywhere! I have found CRUSH to be a gathering of those who work in spreading the truth and a seemingly unanimous message of the importance for all of us to "WAKE UP" and spread the TRUTH. Some Time Ago now, Kim gave me a "wake up call", to the FACTS that the Harper Government was (and still is) the cause, of the shift in the increased struggles of those once protected by Family and Community Services in this once GREAT country of Canada. I was awakened by the FACTS that the Conservatives had already dismantled and rid the Communities across Canada, of once needed supports, for Children and Families ( which I knew) all the way to the Rehabilitation Services. All stemming from the negative effects of the Conservatives. As I remember clearly the TIME of the signing of THE CANADIAN CHARTER OF RIGHTS AND FREEDOMS I was appalled at the Conservatives blatant Contempt of this inspiring Charter, in the G20 disgrace. I respect the Parliament of Canada for finding Harper's Cons in CONTEMPT ! 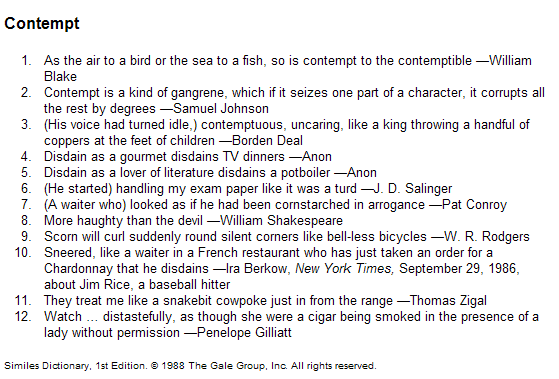 Seriously, Contempt! Any Party, coalition or otherwise, is a better choice than Contempt ! My VOTE will be Liberal, for sure, and Strategically this works out here. Hope others will make their Vote count also. Wake up your Family, your Friends and those you encounter! VOTE to take Canada back. The Nightmare of Harper is OVER!